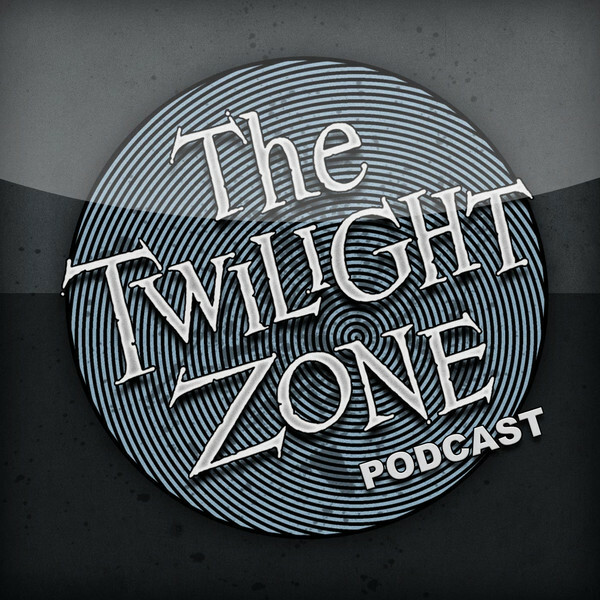 Tom Elliot is the creator and host of The Twilight Zone Podcast: an episode by episode commentary with a crisp production, fantastic insights, and a surprising amount of atmosphere. 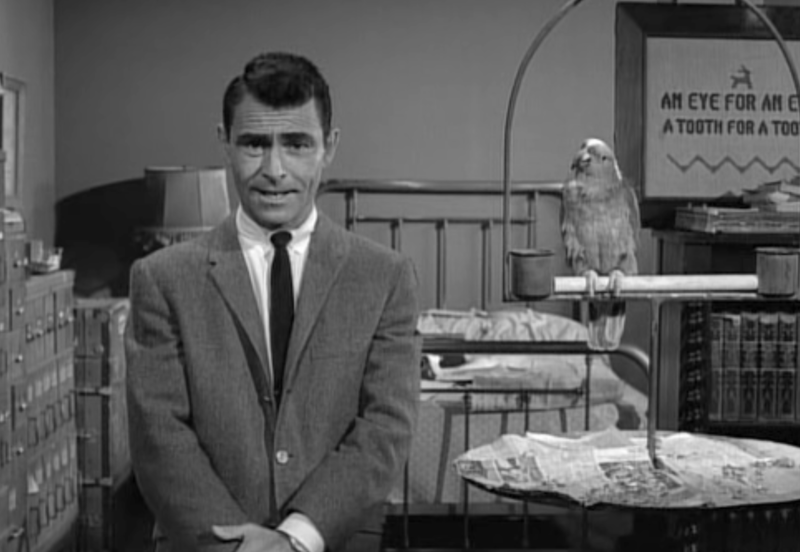 When I decided to write about Rod Serling and his career, I turned to him for some help. 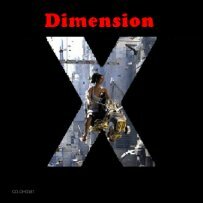 This guy from across the pond (that’s right, your usual Doctor Who Nerd reached out to the UK for help on this one) is too modest to admit to his abundance of creativity, but as the following interview proves, Tom Elliot understands, and can articulate, what it is about The Twilight Zone that makes it last. ME: You’re a horror fan. Would you classify The Twilight Zone as a kind of horror? TOM: It can be at times, although I think that people often forget that it could be very whimsical and uplifting too. There are certainly some episodes that you could classify as a kind of psychological horror though. And then there are some characters and images that stick in your mind the same way as they do in horror films. I think an episode like “Mirror Image” fits particularly well. There’s just a sense of unease that builds throughout and then it culminates in a final shot that provides the viewer with anything but comfort. Very few horror films end with a promise to the viewer that everything’s going to be okay. It’s the same with The Twilight Zone. ME: What are your earliest Twilight Zone memories? TOM: When I was a child, “The Twilight Zone” played in the small hours of the morning. I don’t recall whether it was on channel Four or BBC 2. I used to stay up and watch them as often as I could and record them on VHS tapes so I could watch them over and over. I’m not sure if they paid much attention to showing them in order, or maybe it’s just my memories of them are fragmented, but if revisiting the show recently has showed me anything it’s that I probably only really saw maybe twenty episodes or so when I was a kid, but they just made a huge impression on me. It was probably all about the twists in those days: just waiting to see whether the episode would blow my mind at the end. ME: What is it about the show that you personally connect with? TOM: When I was a kid, it was all about the twists, but now that I have a bit of life experience under my belt I don’t think there’s a writer who I’ve come across who has ever tapped into the human condition as well as Rod Serling. Anything you experience in life is up there. Episodes like “Walking Distance”, “A Stop at Willoughby” and if you look at the “Night Gallery” episode “They’re Tearing Down Tim Riley’s Bar”, all of those episodes really speak to me, because I did reach a point in my life when I was sat behind a desk doing a job that I hated, and I looked back and wished I’d put my energy into pursuing something that I loved rather than something that had a fairly decent financial incentive for doing it. Thankfully I managed to make the right change and it’s worked out well, although it’s severely hampered my ability to do The Twilight Zone Podcast. ME: How do you feel the show has affected you creatively, if at all? ME: How did you decide to finally start The Twilight Zone Podcast? TOM: I was quite deep into horror related things at the time. I was doing a horror podcast called “The Gentlemen’s Grindhouse” and I was also reviewing horror DVDs and writing for “Scream Magazine”. I had been doing those things for a while and wanted to try my hand at something a bit different- a side project of sorts. I had bought all of the Twilight Zone DVDs and, because I was doing so much horror related stuff, I just never got the chance to watch them. So it was a chance to dig into a show I’d always loved, and an excuse to finally get around to watching the DVDs! I wasn’t aware fo anyone else doing it, which quite surprised me, so I thought I’d give it a shot. In terms of the number of downloads it gets and the praise it’s received it’s probably the most successful thing I’ve done, and I’m very appreciative of the listenership. The funny thing is, sometimes people think I’m some sort of Twilight Zone expert, but it was always about being a journey of discovery than me lecturing on something I knew a lot about. TOM: I guess it’s discovering those extra levels that might have passed me by as a child. Then it was all about the twist, but now I watch them and see so much more. ME: You’ve brought up the question, “Can something be The Twilight Zone without Rod Serling?” Have you come to a conclusion on that? TOM: That’s a good question. Whenever I interview someone about the Twilight Zone I always ask that question because I’m fascinated as to what their response will be. I know Rod Serling didn’t write every episode, but he was still the driving force of the show, and he was still there at the beginning and the end of each one. He’s just so much a part of it that a huge part of the magic of the Twilight Zone is missing when he’s not there. I would like to think that in this day and age some smart creative person can get a good handle on it and create something good, but it’s been tried before and, undoubtedly, there have been some high points, but I don’t think it’s ever really been the same. So I haven’t come to a conclusion on that yet, no. There’s a lot of talk of late about either a new movie or TV series. I’m inclined to think that if either gets made and it’s not very good then perhaps the original Twilight Zone was capturing lightning in a bottle, and perhaps it’s best left alone. ME: How much of Rod Serling’s other work are you a fan of? TOM: I like some of the better Night Gallery episodes that he wrote, but apart from those I probably haven’t looked at as much of his other work as I should have. ME: Do you feel his writing has stood the test of time? If so, why do you think that is? TOM: Absolutely. Probably for a few reasons. He was ahead of his time, but he was also a great humanitarian, so he seemed to be able to identify the pure truth of any situation and distil it in crystal clarity. When you hear him talk about prejudice for example, you know that here was a man who saw the world without looking through eyes that are biased or hateful. And when you remove prejudice and hate from yourself, you can see the truth of how things really are, and you are able to see injustice where it exists and make a more reasoned judgement on what should be done to combat it. I honestly feel that the world needs more people like Rod Serling. it might sound over the top, but I’ll say it anyway… If the people in power, here in the UK and in the US, and probably elsewhere, were more like him, and purged themselves of prejudice and hate, and made decisions based on what is right, rather than what’s going to make them and their friends richer, the world would be a better place, and we wouldn’t be in the mess we are now.